Francesco de Bello describes the main elements of the method he has recently published in Methods in Ecology and Evolution. The method aims at decoupling and combining functional trait and phylogenetic dissimilarities between organisms. This allows for a more effective combination of non-overlapping information between phylogeny and functional traits. Decoupling trait and phylogenetic information can also uncover otherwise hidden signals underlying species coexistence and turnover, by revealing the importance of functional differentiation between phylogenetically related species. In the video Francesco visually represents what the authors think their tool is doing with the data so you can see its potential. 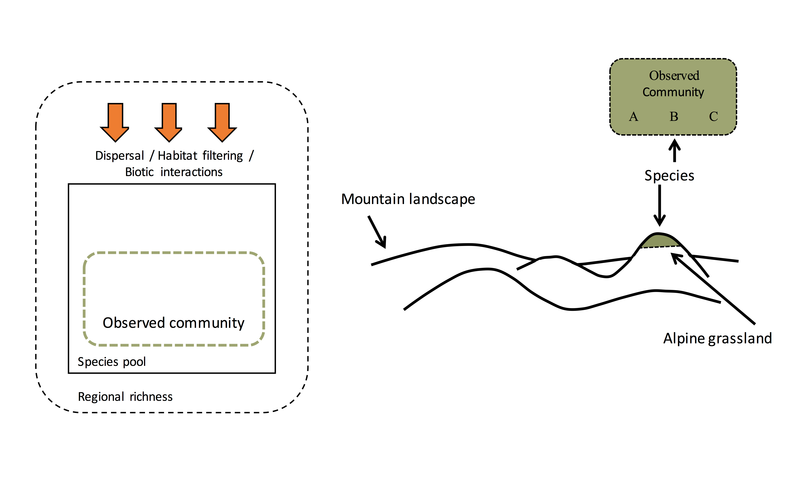 This method can provide an avenue for connecting macro-evolutionary and local factors affecting coexistence and for understanding how complex species differences affect multiple ecosystem functions. This video is based on the article ‘Decoupling phylogenetic and functional diversity to reveal hidden signals in community assembly‘ by de Bello et al.